As Mets fans, we debate as to what the greatest moment was in Mets history, and we typically get it wrong. It wasn’t Cleon Jones catching Davey Johnson‘s fly ball. 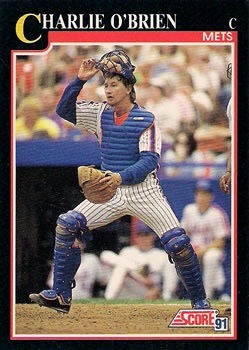 It wasn’t Gary Carter leading the impossible rally in Game 6, or Jesse Orosco striking out Marty Barrett for the final out. There are plenty of other moments fans can pinpoint. They’re all wrong. The greatest moment in Mets history happened on April 3, 1966. That was the date the Mets were awarded the rights to Tom Seaver by Commissioner William Eckert. Up until that time and not too long thereafter, the Mets were a laughingstock. In their first four and five of their first seasons, they lost over 100 games. Considering those more than humbling beginnings and how he completely changed the team, you understand how the Mets truly became a “Franchise” when Seaver joined the team. Time and again, Seaver delivered truly special moments. The Imperfect Game. The 1969 season. The Black Cat Game. Game Four of the 1969 World Series. The 19 strike out game. The 1971 season. The 1973 season. Game Five of the 1973 NLCS. Seaver’s return to the Mets in 1983 and making his final Opening Day start with the Mets, which was the 14th of his Major League record 16 Opening Day starts. Even after leaving the Mets again, he gave us “terrific” memories. His 300th win was a complete game which overshadowed Phil Rizzuto Day. His 41 was the first number retired in honor of a Mets player. In 1992, he was inducted into the Hall of Fame with 98.8 percent of the vote. It was then a record for highest ever percentage and one which still stands for starting pitchers. He and Mike Piazza closed Shea Stadium and would open Citi Field. Through it all, Seaver is the only player in Major League history with a Rookie of the Year and multiple Cy Youngs. His 12 All Stars are the most among right-handed starters in Mets history. His 110.1 WAR is the highest WAR among (non-PED) pitchers in the post WWII Era and the sixth highest all-time. Since 1920, he’s the only pitcher who had a quality start in over 70 percent of his starts. All told, Seaver was 311-205 with a 2.86 ERA and 3,640 strikeouts. He owns nearly every Mets pitching record – wins (198), ERA (2.57), innings (3045.2), starts (395), complete games (171), shutouts (44), and strikeouts (2541). His 76.1 WAR with the Mets is easily the best in Mets history. In fact, it took Seaver just seven seasons to post a higher WAR than what took David Wright, who is second on the Mets career WAR rankings, to post in 13 years. 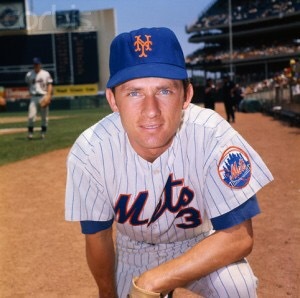 The 41.2 WAR Seaver posted over the first six years of his career is just .4 behind the 41.6 WAR Dwight Gooden posted in his 11 year Mets career. No matter how you analyze it, Seaver is easily the best player in Mets history. During his time with the Mets, he gave Mets fans so many memorable moments. That makes his dementia diagnosis all the more heartbreaking. We can remember all the reasons why he was great, and we can remember all the great games and moments at a time when Seaver is being robbed of those moments. He’s being robbed of those moments at the same time as his former teammate Bud Harrelson, a man who fought through tears the first time he faced Seaver as an opponent, is battling Alzheimer’s. As anyone who has seen loved ones suffer from this disease, you know how heartbreaking this is. That’s what this is – heartbreaking. Seaver loses the memories we all cherish. He can’t be there to celebrate the anniversary of a World Series he made possible. Worse than that, his memories of his family and loved ones will eventually fade. No one deserves this. Not Seaver. Not a Hall of Famer. Not the man who made the Mets, the Mets. Not a husband, father, and grandfather. No one. But he is because life isn’t fair. This means he misses out not just on what’s to come (1969 reunion or a statue whenever it comes), but worse yet, all that’s already happened. His family gets to watch on while they lose a man who was much more than a Hall of Fame pitcher to them. Lost in the Mets terrific start to the season has been the fact the Mets family has been hit by some tragedy. There was the death of Rusty Staub, and the first Mets player inducted into the Mets Hall of Fame, Bud Harrelson, was diagnosed with Alzheimer’s. This leaves many of us wondering what we could do to help not just Bud, but also the many who are affected by Alzheimer’s. Even if you don’t have the means to make a contribution, there is something you can do – Subscribe to and watch Carl Ruiz’s YouTube channel entitled OMG Carl’s Food Show. Personally, I have come to know Carl not just from having gone to Marie’s (before it was made famous), but also because of his radio work with Opie and because of his dominance on Guy’s Grocery Games (GGG). Like many, myself included, Carl’s family has been affected by Alzheimer’s.Â Sadly, he would lose his father to the disease. If you watch GGG or follow him on Twitter, you know he has decided to take action by raising money for the Alzheimer’s Association. To help him in this endeavor, all you have to do is watch one of his reviews of famous chain restaurants. So far, he has reviewed Arby’s, Chick-fil-A, Cracker BarrelÂ breakfast, Five Guys, McDonalds, Olive Garden, Outback, Subway, Taco Bell naked taco, Waffle House, and Wendy’s. While you may not always agree with what he says, like McDonald’s French Fries falling just below the mark of being dubbed “Beyond Reproach,” he was spot on with his analysis of Chick-fil-A waffle fries. Honestly, his review of that renewed my faith in the human race after The Ringer‘s embarrassing venture into this field. Overall, if you want to be entertained by a great chef giving an honest and interesting review of fast food, you should check out the videos. If not, do it to help those suffering from Alzheimers. Why Isn’t Edgardo Alfonzo In the Mets Hall of Fame? Back in 2012, the New York Mets announced their 50th Anniversary Team. Reviewing the list none of the players named should come as a surprise. It should come as even less of a surprise that of all the players named to the team, all the retired players have been inducted into the Mets Hall of Fame. Well, all but one player has. The greatest second baseman in Mets history, Edgardo Alfonzo, still has not been inducted into the Mets Hall of Fame. He has not been inducted into the Mets Hall of Fame despite his being retired since 2006 and despite his presence in the Mets organization for the past few seasons. Put another way, this is not a player who has poor ties with the organization and that would be hard to bring back to honor him. Looking at it from that perspective, it is shocking to say the least that Alfonzo is not in the Mets Hall of Fame. Judging by WAR alone, Alfonzo is the best middle infielder in Mets history posting a career 29.5 WAR as a Met. That 29.5 WAR ranks him as the seventh best Met in history. That puts him ahead of players like Keith Hernandez, Mike Piazza, and Bud Harrelson, all of whom have already been inducted into the Mets Hall of Fame. With that said, WAR only tells part of the story of the impact Alfonzo has had on Mets history. The advanced numbers paint a number better picture of Alfonzo. His WAR is fourth best for a Mets position player, second for a Mets infielder, and the best for a Mets middle infielder. His 2000 6.4 WAR ranks as the fifth best season by a Mets position player. His defensive WAR is the sixth best in Mets history, third best by a Mets infielder, and best by a Mets second baseman. He ranks fifth in runs created, eighth in adjusted batting runs, and eighth in WPA. Alfonzo led the Mets in runs, hits, and doubles in the 1990s. In that same decade, he also had the finished second in games played, at bats, total bases, and RBI. In the decade he was also fourth in triples, seventh in homers, eighth in stolen bases, third in walks, and third in batting average. Arguably, he was the Mets best player of the decade. In addition to these numbers, Alfonzo was named to an All Star team (should have been more than the one), won a Silver Slugger, and had three top 15 MVP finishes. He finished second in Gold Glove voting in 1999 and 2001 as a second baseman. In 1997, he finished second in Gold Glove voting as a third baseman. Still, Alfonzo was much more than all of this. When thinking of Alfonzo it is near impossible to choose just one moment that highlights his career. You can start with him being part of the greatest defensive infield ever assembled. In the 1999 Wild Card play-in game, he followed Rickey Henderson‘s leadoff home run with a home run of his own to give Al Leiter all the cushion he needed for the Mets to claim the Wild Card and head to the NLDS. In Game One of the NLDS, he would homer off Randy Johnson in the first inning to give the Mets a 1-0 lead, and then he would hit a grand slam off of Bobby Chouinard in the ninth to break the 4-4 tie. In the clinching Game 4, he got the Mets on the board with a fourth inning homer off of Brian Anderson. Alfonzo would come up similarly big in the 2000 NLDS. In Game 2, with the Mets already down 1-o in the series, and with Armando Benitez having blown the save, Alfonzo ripped a double down the left field line scoring Lenny Harris. Lost in the shuffle of that inning was the fact that he had hit a home run in the ninth giving the Mets some much needed insurance runs. In any event, the RBI double allowed the Mets to tie the series and return to the NLCS for a second consecutive year. In the 2000 NLCS, Alfonzo was one of a few Mets that probably should have been named the NLCS MVP. In the five game series, Alfonzo hit an incredible .444/.565/.611 with five runs, a double, a triple, and four RBI. Unsurprisingly, Alfonzo is the Mets all-time leader in postseason hits, games played, and g0-ahead hits. In fact, four of those hits were in the 7th inning or later. That is the second best mark in postseason history – not Mets postseason history – all of baseball history. Speaking of hits, Alfonzo became the first ever Met to go 6/6 in a game. In what ranks as the most impressive hitting display in Mets history, Alfonzo hit three home runs and a double while recording five RBI. There have been no Mets and only one National League player that has posted a higher game score since 1999. Somehow, some way none of this has garnered Alfonzo enough support to be inducted into the Mets Hall of Fame. It’s wrong because Alfonzo is not just the best second baseman in Mets history, he is the best middle infielder in Mets history. He was a pivotal member of two teams that went to the postseason, and he had huge hits on those postseasons. He has set a number of Mets records. Overall, there is absolutely no way you can deny that Alfonzo is one of the best players in Mets history. Accordingly, he deserves enshrinement into the Mets Hall of Fame. Here are some interesting Mets postseason facts when there was a Democrat or Republican in the White House. The Mets have only won the division once (2015) with a Democrat in office. The other three postseason appearances were as the Wild Card. In all five of their appearances in the postseason with a Republican in office, the Mets were the National Leauge East champions. In four of the five seasons the Mets appeared in the postseason with a Republican in office, the Mets had the best record in the National League (1973 is the exception). In two of those seasons (1986 & 2006), the Mets had the best record in baseball. From the Front Office side, Republicans have a 2-1 edge in executive of the year with Johnny Murphy winning in 1969, Frank Cashen winning in 1986, and Sandy Alderson winning in 2015. Baseball America named the Mets the top organization in baseball once in a Republican (1984) and once in a Democratic (1995) term. As a general rule of thumb, the Mets and their players have performed better with a Republican in office. As you enter the voting booths today, take that as you will. Hopefully, you have more sound criteria for choosing your candidate. He has been involved in more postseason and World Series games than anyone in Mets history. He was the SS on the 1969 Miracle Mets and the 1973 Mets. He was the third base coach for the 1986 World Series winning team, and the 1988 team. He was the inaugural member of the Mets Hall of Fame. He’s the biggest winner the Mets have ever known. He’s one of the few who had two Mets World Series rings. He was never one to back down. He embodies the spirit these Mets will need in order to win the World Series this year. Hopefully, the Mets on this team will win multiple World Series like Harrelson did. In 1991, the Mets streak of finishing second or better in the NL East came to an end. The Mets had a 77-84 record, good for second to last in the division. O’Brien was meant to be that classic backup catcher who was terrific defensively. That was his reputation. However, he couldn’t play everyday because he was terrible offensively. In 1991, his first full year with the Mets (only year he wore 5 with the team), he hit .185/.272/.256. For his Mets career, he would hit .212/.289/.309. While with the Mets, he would only play in losing teams. Really, his only claim to fame was his hockey style catcher’s mask, which he wouldn’t wear in a game until he was long gone from the Mets. Ultimately, he would serve as a mentor to the young Todd Hundley, but that would not be for a few more years. Charlie O’Brien reminds me of earlier this year when the Mets couldn’t generate any offense. He reminds me of a time when the Mets were trending downward as opposed to being on the verge of something potentially great. He reminds me that older players can effectively mentor younger players to help them be the best players they can be. Charlie O’Brien may have been on a Mets team that was heading in a different direction, but he exhibited some of the virtues that have helped make this Mets team great. So with that, let’s tip our caps to Magic Man Number 5 Charlie O’Brien.